cross stitch with zelma rose. 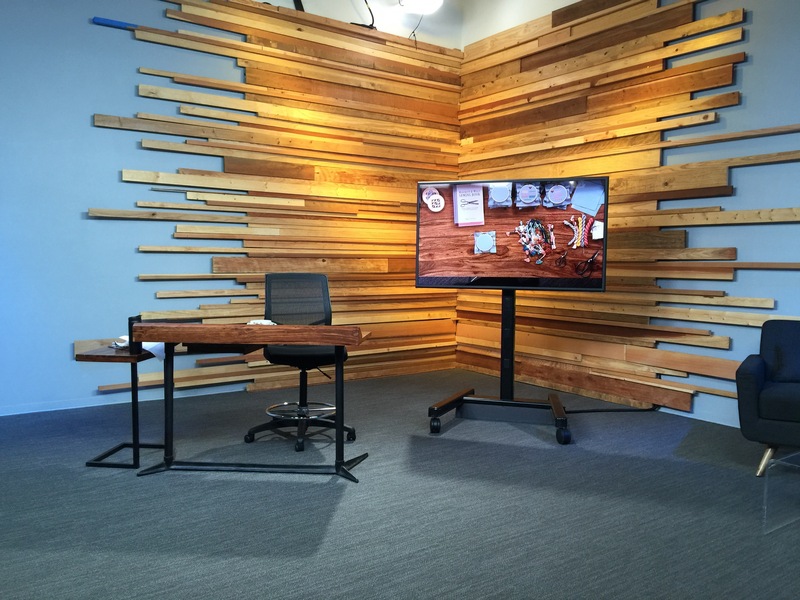 The classes were held at the Creative Live studios in San Francisco. I felt all celebrity talk show status — They put a mic on us and everything — and the whole thing was filmed for the internets. We each got a workspace with all of our supplies. 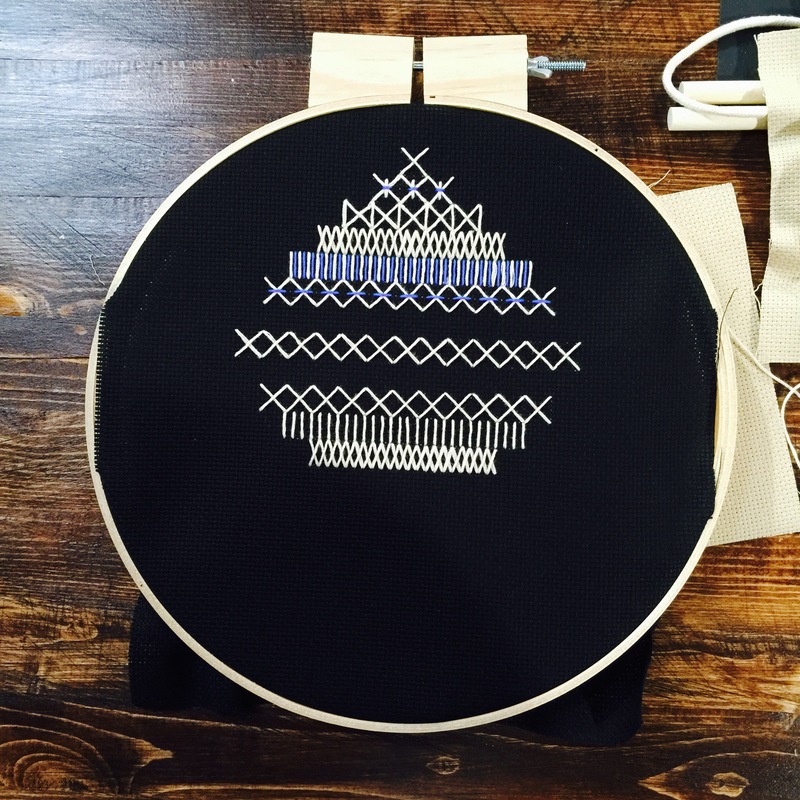 Day one was all about cross stitch. 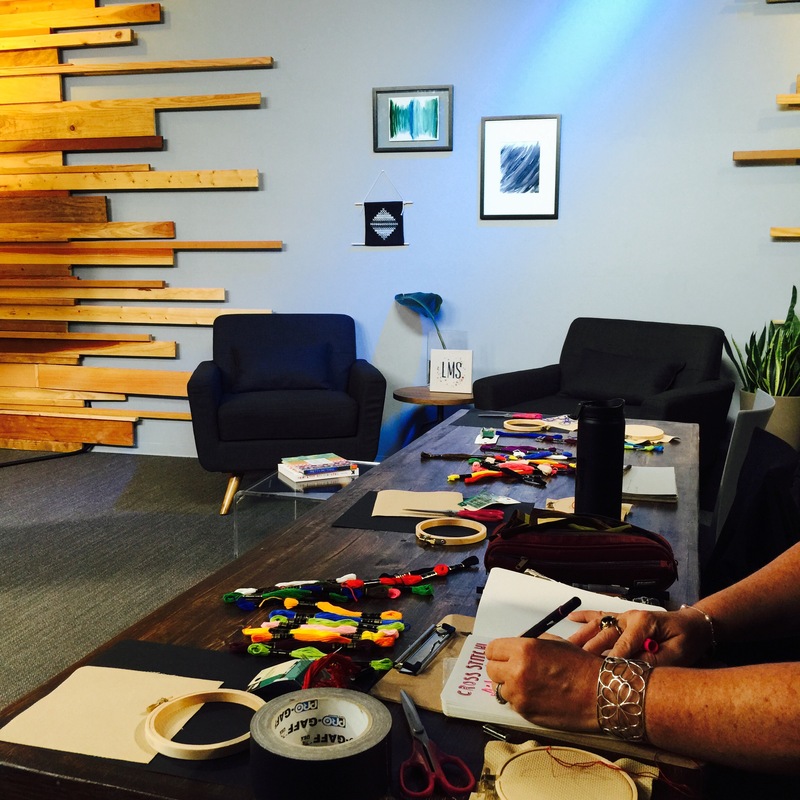 Lisa, the craft brains behind Zelma Rose, taught us about fabrics, yarns, and designs. Then we dove in and learned seven stitches: basic, star, herringbone, oblong, alternating, rice, and straight. 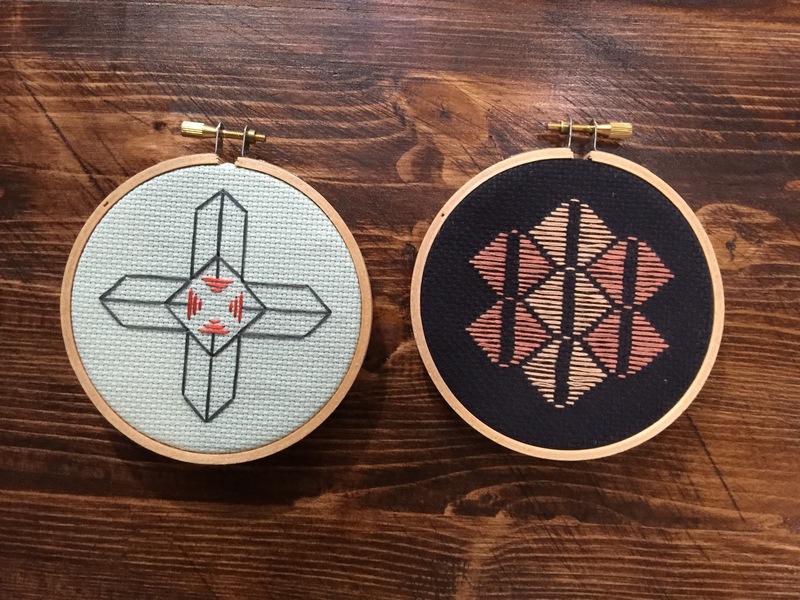 Here’s the hoop sampler I created with each of the stitches. We spent the second half of the day incorporating our new skills into making cross stitch art. I started this piece in class and we learned how to finish them to make wall hangings. Pro-tip: Have good lighting in your cross stitch space, especially if you are working with tiny-holed fabric. I’m super thrilled to have this new skill to add to my craft repertoire. I imagine I will be making some cross stitched gifts sometime very soon. 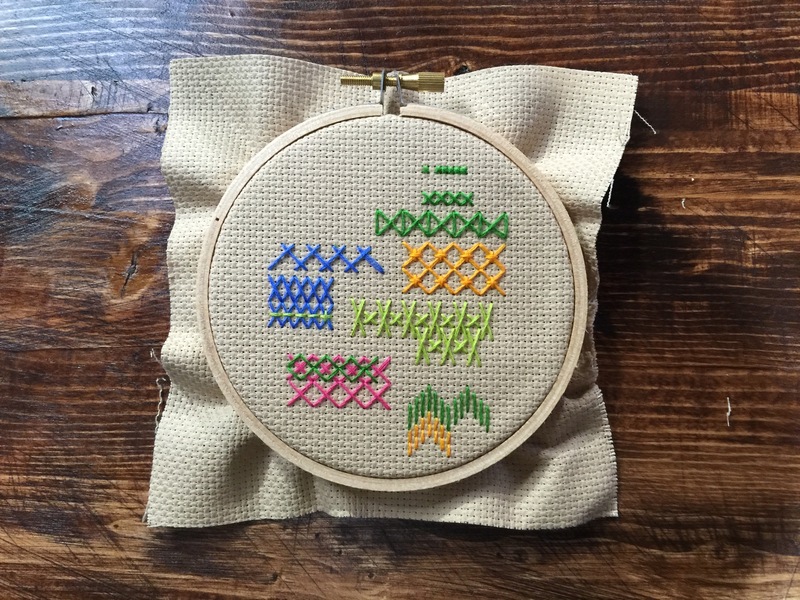 If you want to learn how to cross stitch or are in the mood for a refresher, you can take Lisa’s course online at your leisure here, and you can follow guided instruction to make similar cross stitch wall art like the one above here. Thanks so much for this great recap Erin! !